Innovation in the collection and sharing of local news is perplexingly difficult to find in America. All of these areas are obviously important and key to any viable operation. What seems to be missing, however, is innovation in the product itself. Innovation can be found if one looks carefully in the nooks and crannies of America. For those who know the area well, it would come as little surprise that new approaches to local media in smaller markets would come from north central Ohio, and in particular the rolling hills of Mansfield and Richland County (metro area population of approximately 150,000). That is where Total|Local Media was born, and we invite you to come with us for a moment to visit our media landscape. In some ways, the setting here is typical of many across the country. The grand old lady is the Mansfield News Journal, a daily paper and accompanying online site published by Gannett, America’s largest chain of newspapers — and another Gannett daily is in the adjacent county to the west. A local television station, WMFD, maintains a staffed news department with a traditional online presence. The two newest operations here are very different, however. Much can be said about the oldest of those, Richland Source. Enough, in fact, that the subject deserves a series of posts by itself. Richland Source is a member of LION (Local Independent Online News) Publishers, a consortium of online-only, non-legacy media sites nationwide. The company has always been uniquely well-supported financially, enabling it to have a staff the size of which exceeds in number that of operations in major metropolitan areas covering populations ten times that of Richland Source’s service area. It is possible that some of these staff members are involved in providing marketing and other services to local business. Secure and deep financial footing fuels an ability for Richland Source to be very creative. In the past couple of years, it has delved into podcasting, “solutions journalism,” community development (including leading an effort to send community members to the SXSW Conference in Austin), and most recently as a participant in the Facebook Accelerator project. The same solid footing has resulted in the operation being the anchor tenant in a business co-working/incubator space that likely exceeds, in size and functionality, any similar facility in Ohio. That facility has engaged in providing seminars, workshops, entertainment, and other activities similar to such operations. The net result of the above is to provide a media operation which provides substantial local impact but which also provides a very limited-use model for other communities or media start-ups. In 2016, these media companies were joined by 1812Blockhouse, the flagship site for Total|Local Media. 1812Blockhouse chose Mansfield and Richland County not only for geographical reasons, but because existing sites, particularly Richland Source, were quite open in terms of relevant statistics in terms of traffic and revenue. It was this combination that gave us best possible opportunity to measure growth, impact, and net revenue and to experiment. An emphasis on organic news creation. Instead of using a cumbersome reporter-editor construct, the decision was made to maximize reader-generated content to the greatest possible extent. The types of submitted and curated posts have evolved since launch, but the emphasis remains the same. An emphasis on curation. We certainly didn’t invent curation, but we are huge fans. Consider, for a moment, the number of sites referred to above. Add to them other publications in Richland County, surrounding counties, or in major metropolitan areas that include the county in their respective scopes of coverage. The result is that information is available from numerous sources, not to mention hundreds of Facebook, Twitter, and other social media posts each day. No single publication can cover everything, or indeed even most things worth coverage. Our model means that consumers of information have a practical way to stay as fully informed as possible. 1812Blockhouse curates in several ways, including through collected tweets, daily compiled links to the best stories from other media (yes, Virginia, we link to and drive traffic to the “competition” each and every day and we love it), special event social media collection, and in other ways. An emphasis on cost practicality and revenue. 1812Blockhouse generated net revenue occurred very quickly as compared to other news operations. An emphasis on being quick, flexible, and responsive. On several occasions since launching, the occasion has arisen at a moment’s notice where a community or coverage need suggests use of a new tools for sharing information. We try our new products all the time. We also eschew journalistic conventions that fail to have relevance in the 21st century. Two examples of that — we edit our content continuously and we use style guides but deviate frequently when the occasion calls for it. An emphasis on local. REALLY local. Each week, and often each day, all of the other media in this market will post stories from neighboring communities and areas. 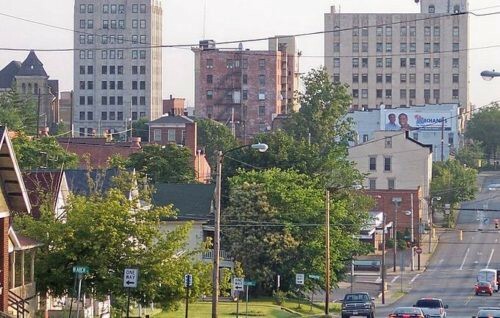 We do as well, but only when that content either involves people, businesses, or institutions in Richland County, has the potential for local impact (such as state government news), or might be something that readers might want to experience in the adjacent metro areas of Cleveland and Columbus. The latter are infrequent and, when posted, are clearly marked. We’d be thrilled to share more about our operation and about north central Ohio, as there’s a great deal of background to all of the above that has not been covered in this quick overview. We also invite you to learn more about Total|Local Media and what it can bring to your community. Email/DM/call/yell at us — we’d love to share more about all of this, including to your staff, class, or event!